Islamists reportedly shot dead Coptic Christian priest Mina Aboud Sharween in the lawless Northern Sinai area on Saturday. Gunmen shot dead a Coptic Christian priest in Egypt’s lawless Northern Sinai on Saturday in what could be the first sectarian attack since the military overthrow of Islamist President Mohamed Mursi, security sources said. 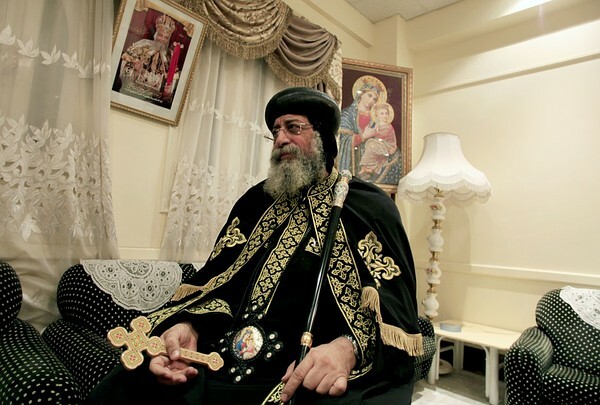 The priest, Mina Aboud Sharween, was attacked in the early afternoon while walking in the Masaeed area in El Arish. The shooting in the coastal city was one of several attacks believed to be by Islamist insurgents that included firing at four military checkpoints in the region, the sources said. Saturday’s attacks on checkpoints took place in al-Mahajer and al-Safaa in Rafah, as well as Sheikh Zuwaid and al-Kharouba. Morsi’s Muslim Brotherhood has fiercely criticised Coptic Pope Tawadros, spiritual leader of Egypt’s 8 million Christians, for giving his blessing to the removal of the president.